Home Driving Licence HGV HGV Driver Advice Traffic Commissioner Is your Vocational Licence at Risk? Is your Vocational Licence at Risk? How do traffic commissioner s deal with conduct issues of a professional driver!! On a day to day basis the traffic commissioners deal with driver conduct issues as they receive reports about drivers who are applying for a vocational licence as well as those who already hold a vocational licence or drivers who have done something wrong, the majority of cases reported to the traffic commissioners are those that have involved action taken by the police. For example – The use of a hand held mobile phone or drink driving, whether this be in a professional drivers own private vehicle or a company vehicle. Other cases may involve an operator case that involves false records being produced. 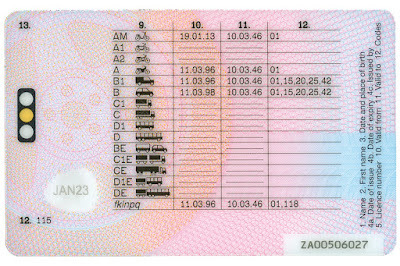 The traffic commissioners judgement does not just focus on a incident that has been reported to them , they also look at a drivers conduct as a whole both good and bad points, once the traffic commissioners have done this they will make judgement as to whether a driver would be given a vocational entitlement on their licence or if the driver is unfit to hold a vocational licence. In the table below you can see a few of the examples of the action that drivers may face! 1st offence of using a mobile phone in a commercial vehicle. The table shows the starting point of action that will be taken the action starting point is to help the traffic commissioners be consistent when they are making decisions about a drivers conduct. The traffic commissioner can decide to move over or below the suggested action when they are deciding what action to take against a professional driver. The traffic commissioner considers every case on its own merits also taking into account at the time any mitigating or aggravating issues.